It's Friday, it's still freezing in NYC and I have yet to retire my parka! I am very excited to be escaping to much warmer temperatures a week from now but until then with work picking up, and there are some late nights in my future until vacation, I want to stay extra cozy. 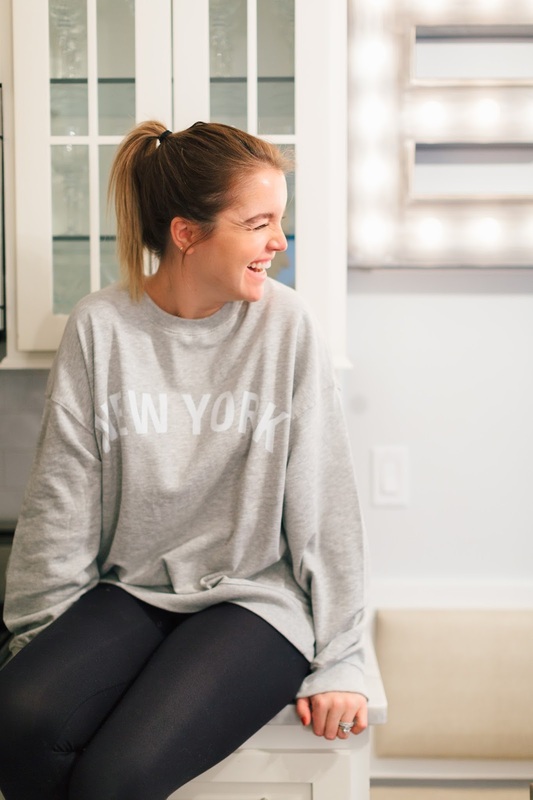 Everyday when I get home from work I put on leggings and a sweatshirt - sometimes it's sweatpants if I need some extra TLC, but my collection of sweatshirts isn't just for home. I will happily wear a sweatshirt with jeans to work on casual Fridays. My weekend wardrobe? A sweatshirt! There are SO many cute ones, they have really come a long way from super sporty to kind of fancy! Happy Friday, stay warm and cozy!